P0455 indicates that a large leak in the evaporative emissions system has been detected. Evaporative emissions are are emissions due to evaporation of gasoline from liquid phase to gas phase. Evaporative emissions systems are designed to catch and store gasoline that has evaporated from the fuel tank or lines, and then the fuel will be re-used once the vehicle is in operation. The baseline standard for these emissions regulations are set by leaving automobiles in a container for a prescribed amount of time, and then measuring the hydrocarbons that have evaporated from the fuel system. If limits are exceeded, the manufacturer must show that the check engine light will be triggered. As described in the previous paragraph, the test for evaporative emissions is to leave a car in a box and measure the hydrocarbons. This is to simulate a vehicle being parked in a garage overnight. Often the symptoms are not noticeable. The name of the P0455 OBDII failure code may lead you to believe that there will be a very large amount of gasoline evaporating, but this amount is still relative and likely will not be enough for a noticeable odor. Since gasoline has a higher tendency to evaporate at warmer temperatures, it is likely that any symptoms would be more noticeable in warmer ambient conditions. If you do smell hydrocarbons in your garage, be sure it is not another gasoline canister that is not sealed properly. A failure in the system can also lead to an increase in fuel consumption, however in most cases this will not be significant enough to be noticed unless you monitor fuel consumption very closely. The P0455 error code is generally caused by some type of leak in the evaporative emissions system. Some of the primary constituents of this system are the fuel cap, filler neck, evaporative system hose, carbon canister, evaporative vent valve, or evaporative purge valve. Damage to any of these could lead to the evaporative emissions test failing and setting of P0455 or P0442. 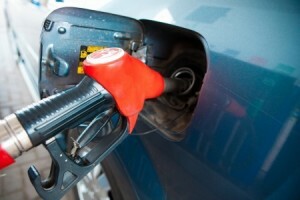 Other possible causes could also be related to fuel tank issues, although this is less common. Although failure code name indicates leak, it could also be that one of the component used in performing the diagnostic has failed. The diagnostic runs be creating a vacuum in the EVAP system and then checking for pressure decay. Problems with the evaporative purge valve and fuel pressure sensor could also be the root cause for this failure code. Since this failure code is to indicate gross leaks, if the root cause is a leak then it should be more obvious. Check to ensure that the fuel cap is installed. If installed, check for any large cuts in the o-ring. 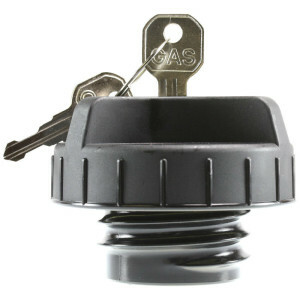 If any cuts are seen in the o-ring, purchase a new fuel cap. If you replace the cap, it will take several days for the failure code to go away unless you clear the code, so just because the dash light is still on does not mean that the issues is not fixed. The preferred way to clear the code is using a diagnostic tool, but a battery disconnect will also accomplish this. This evaporative emissions check is only performed in specific conditions, so if the problem is still present, it may take 1 week or more to re-appear. If the failure code is still present, or if no issues were seen with the fuel cap, inspect all components of the evaporative system carefully for any potential leaks. This inspection can be aided by performing a smoke test on this system, being sure that the system is in a state where it should normally be closed, i.e. the vent valve should be closed. If the smoke test does not provide any obvious issues, be sure that the vent and purge valves are functioning properly and monitor the pressure sensor from the fuel tank for any abnormal readings. The evaporative emissions failure code can certainly be tedious to get resolved and avoid the warnings from your vehicle. In case of minor leaks with no symptoms, I would recommend being patient and trying to fix by testing the gas cap. However, if a strong hydrocarbon odor is noticed, this should be addressed more quickly and taken to your mechanic if you are not comfortable with inspection of the evaporative emissions system.